The U.S. and Mexico have reached agreement on a series of components of a revised NAFTA according to U.S. Trade Representative filings on technical terms, manufacturing and agriculture. Notably an agreement has been reached for automotive rules of origin which, as outlined in Panjiva research of August 13, have been a major sticking point so far. 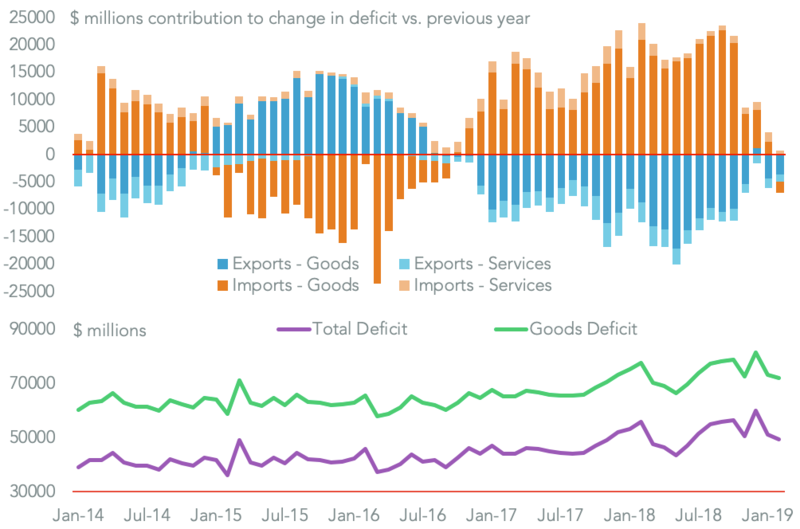 In the context of the Trump administration’s key trade metric – the trade-in-goods deficit – this resolves uncertainties relating to $56.8 billion of the goods deficit in the 12 months to June 30. 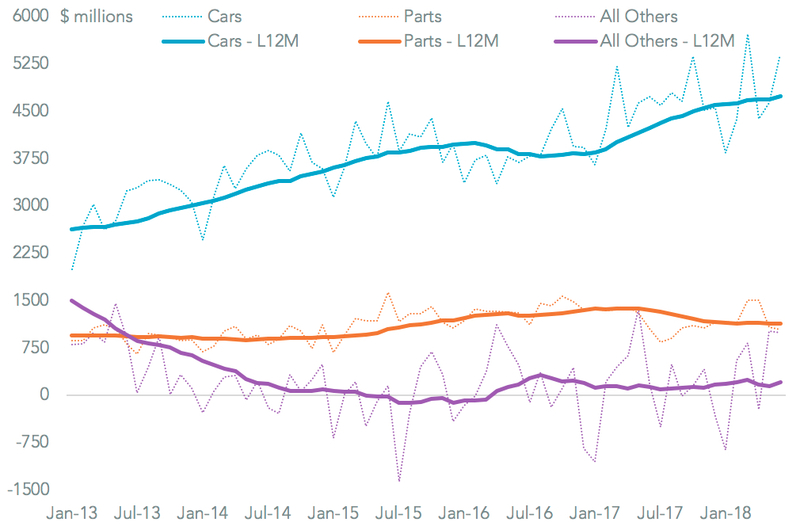 On a naive basis that’s equivalent to 96.6% of the total trade deficit with Mexico, Panjiva data for U.S. exports and imports of cars and auto-parts shows. Rules of origin for the steel, chemicals and other manufacturing industries have also reportedly been agreed but not yet published. The automotive sector will remain in focus as the Canadian government was not party to this round of negotiations. The baseline changes – content requirements set at 75% for duty-free treatment with 45% of vehicle content produced by workers paid $16/hour or more – seem unlikely to prove controversial in Canada. Yet, President Trump has indicated that if it does not join the deal then there will be “a tariff on cars”. That could indicate a minimum of section 232 duties being applied and a maximum of NAFTA being unwound and a stand-alone “U.S.-Mexico Trade Agreement” being struck. The latter may not be possible from a technical perspective given, under Trade Promotion Authority rules, the President can only present a revised NAFTA deal for an “up-down” vote in Congress. Anything else – including a withdrawal-and-replace – would be subject to a full vote. Clarity in that regard should come by Friday August 31, when USTR Robert Lighthizer has indicated the statutory 90 days notice to Congress to sign a deal will be given. That gives a signing deadline of November 29 (i.e. by the current Mexican government) though the final text needs to be provided to Congress by September 30 (60 days notice). Prime Minister Trudeau has indicated that a deal needs to “get to the right place for Canadians” according to Politico, which doesn’t necessarily mean making a quick deal. A central contention in that regard will likely focus on agriculture where Canada has resisted U.S. calls for increased dairy market access. The scale of the potential win for American farmers in Canada could be significant. Exports of all dairy products to Canada were just $348 million in the 12 months to June 30, or 7.5% of America’s total exports. For reference Canada accounted for 40% of butter exports and 48% of chicken eggs, indicating a significant uplift is possible. 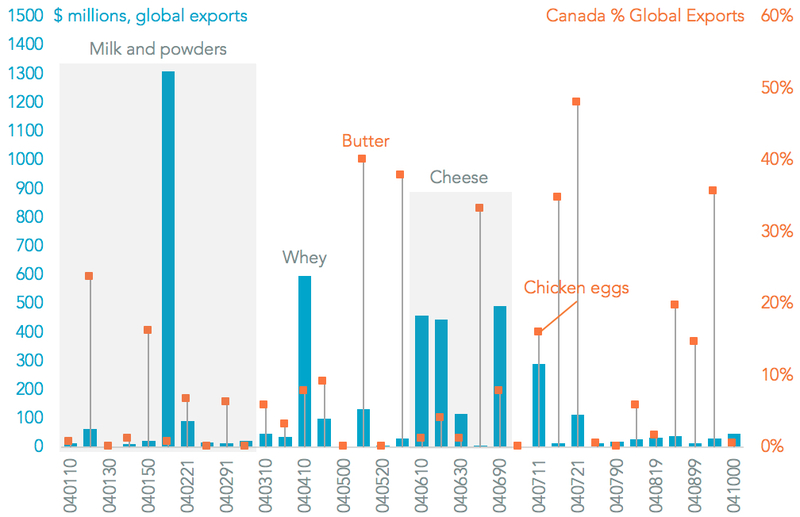 In particular increased shipments of milk powder where Canada represented just 0.7% of America’s $1.31 billion exports, and cheese (4.2% of $1.51 billion) could be a significant opportunity. While most of the focus has been placed on U.S.-Mexico and U.S.-Canada challenges it’s also important to note that Mexico and Canada may also have issues to agree. One complexity is that both are signatories to the CPTPP trade deal which will mean at a minimum a complex “legal scrub” of new NAFTA terms to ensure consistency with CPTPP. Mexico’s exports to Canada are currently dominated by the automotive industry with mid-engined vehicles ($2.11 billion of exports in the 12 months to July 31, or 16.5% of total Mexican exports to Canada) and heavy trucks ($1.13 billion) being the largest two products. As a result the details of the automotive deal will matter as much in the Canada-Mexico axis as in the U.S.-Mexico. Outside commodities, products where Mexico has significant exports to the world excluding Canada (and the U.S.) where its shipments to Canada are currently minimal include larger engined vehicles (4.4% of Mexican exports, just 0.4% of those to Canada), telecoms network gear (6.2% vs. 3.6%) and vitamins (1.6% vs. 0%). Finally, it isn’t clear that all the areas of outstanding contention between the U.S. and Mexico have been nailed down. 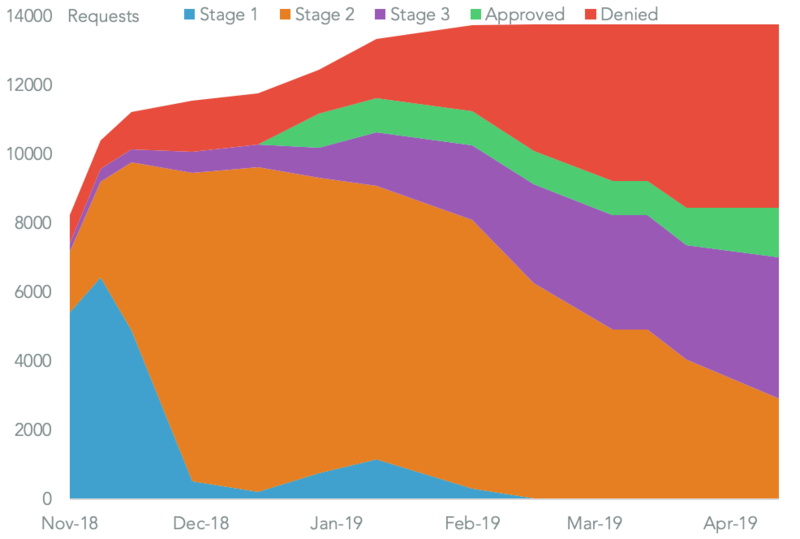 While the controversial “sunset” clause has been addressed via a “6+10” process, S&P Global Market Intelligence reports, there is no mention in the USTR factsheets of energy-related provisions. While the U.S. ran a trade surplus in energy with Mexico of $15.4 billion in the 12 months to June 30 the incoming Mexican government is set to try and reduce its imports of petroleum products from the U.S., worth $27.5 billion in the 12 months to July 31, and may review existing provisions for liberalizing the energy industry in Mexico.